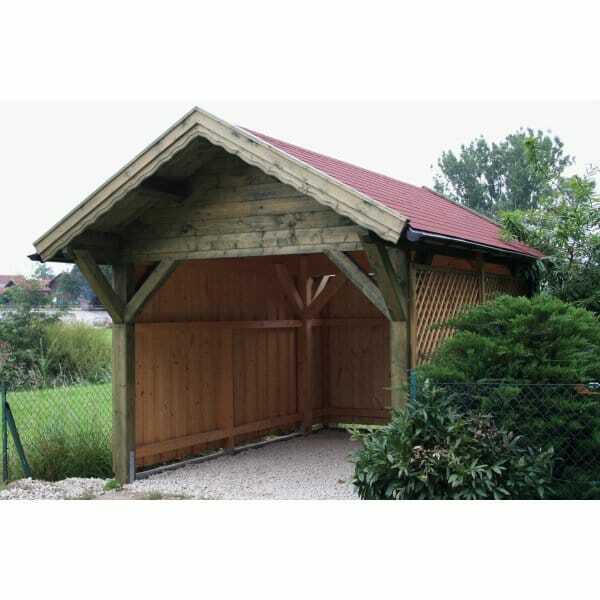 Bertsch Carport Premium 340 x 430: is a useful car port offering cover for cars, bikes and garden equipment in a traditional style design. This carport is very versatile offering protection from the weather whilst making a stylish addition to any driveway. The front and back roof projection of 70 cm offers ideal additional shelter. Bertsch Carports from Simply Log Cabins.